Cleveland right-hander Corey Kluber is one of the most unheralded pitchers in baseball as he toes the rubber with a 3.10 ERA and 1.26 WHIP this season, including a 2.70 ERA and 1.09 WHIP at home and a 2.14 ERA and 1.04 WHIP over his last three starts. Kluber has been completely dominant in May, allowing just eight runs in 35 2/3-innings (3-0 with a 2.02 ERA and 1.01 WHIP). Kluber leads the Indians’ staff in wins, innings pitched and quality starts (eight), while also ranking among the league leaders with 83 strikeouts. Kluber boasts an impressive 12% swinging strike rate this season, including a 14% rate over the last month. The key to Kluber’s success is the fact that he is generating a lot of swings and misses with multiple pitches – his slider, curve and changeup. The 28-year-old hurler also possesses a 46% ground ball rate, and I expect even further reduction in his ERA based upon his unsustainably-high hit rate (37%). 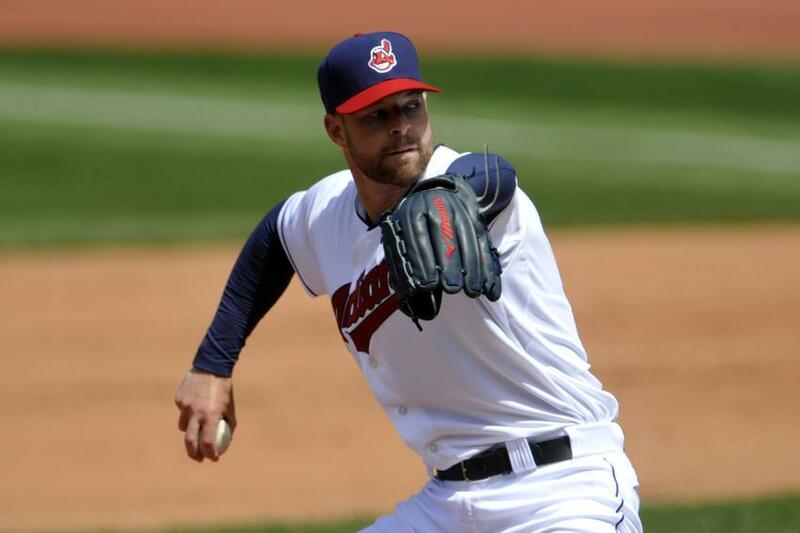 In short, Kluber is the real deal based upon his 2.70 xFIP and 2.78 SIERA. “I just think he’s kind of getting into the season,” Indians pitching coach Mickey Callaway said. “He’s obviously very comfortable using all of his pitches, attacking hitters the right way and he’s got some confidence going. He’s a guy that has great stuff, and when he puts it all together like he’s doing right now, he’s going to have really good outings. He feels good and he’s going good, so it’s good for him to be on that wave right now.” I also like the fact that Kluber is supported by a very good Cleveland bullpen that owns a 3.02 ERA and 1.30 WHIP in 2014, including a 2.86 ERA and 1.20 WHIP at home, a 2.66 ERA and 1.35 WHIP at night and a 1.44 ERA and 1.40 WHIP over the last seven games. Kluber also benefits from pitching at Progressive Field, which reduces home runs from right-handed batters by 25%. The problem for the Rockies is the fact that they are a significantly different team away from Coors Field. Specifically, the Rockies are a money-burning 12-18 (-4.4 units) on the road this season where they are hitting just .242 with a .296 on base percentage (3.6 runs per game). Moreover, Colorado is hitting a mere .198 with a .266 on base percentage over the last ten days (2.1 runs per game). Compare those anemic offensive numbers with those generated at Coors Field where the Rockies are batting a collective .344 and have scored 162 runs, with both marks leading the Majors. Let’s also note that Colorado has been shutout twice in its current road trip, and the Rockies have only scored more than three runs once since May 20. Meanwhile, Colorado starter Juan Nicasio belongs in the bullpen, but management continues to ignore his pedestrian metrics by keeping him in the starting rotation. The casual observer would say that Nicasio is 5-2 with a 3.61 ERA and 1.27 WHIP this season, including garnering a 3.00 ERA and 1.22 WHIP over his last three outings. However, those numbers mask several red flags: (1) Nicasio has issued 12 walks against 13 strikeouts in his last five starts; (2) Nicasio owns a 4.23 xFIP and a 4.39 SIERA, which means that regression is on the horizon; and (3) his 5.8 K/9 is well below his career mark of 7.1. Nicasio has also struggled against American League lineups this season as evidenced by his 4.50 ERA and 1.70 WHIP in interleague play. A cursory review of Nicasio’s results last year also indicates that he is a ticking time bomb. Nicasio’s 29% quality start percentage in 2013 was woefully inadequate. In fact, of the 128 pitchers to qualify for rate stats last season, only Barry Zito had a lower QS% than Nicasio. The 27-year-old right-hander had four starts in which he tossed four innings or fewer and allowed at least seven runs. In three of the starts, he didn’t escape the third inning, allowed at least seven runs, and posted two or fewer strikeouts. From a technical standpoint, Cleveland applies to 40-15, 59-23 and 38-8 systems of mine that are predicated upon Colorado’s offensive numbers on the road, together with Kluber’s overall results in 2014. Let’s also note that Colorado is 19-32 (-16.1 units) versus teams with a win percentage of .380 to .460, 7-24 (-21.4 units) versus American League teams averaging less than 4.8 runs per game and 2-16 (-18.5 units) versus A.L teams with a batting average of .255 or worse. With Cleveland standing at 6-2 at home versus the Rockies, take the Indians behind one of the best pitchers in baseball and invest with confidence.